I’m thrilled to be one of Mandi’s guests this month. I was also a little excited to write about something that wasn’t necessarily related to children’s books or reading with children. Alas, it seems I’m not making enough time for ‘me’ moments (I will have to change that), so I’m sticking with children’s literature for now. There is a children’s book author and illustrator who has captivated me with his work of late. In my eyes, he is absolutely kicking goals. Information on him is hard to come by but I understand that while working in a bookstore he devoured picture books to help him refine his story-telling and illustrations. 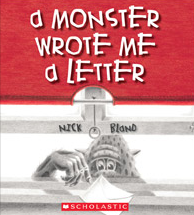 The first Nick Bland book I read was The Wrong Book (2009). It made me giggle, out loud, as do The Very Cranky Bear (2008) and the The Very Itchy Bear (2010). They are easy reads, but great for reading aloud. 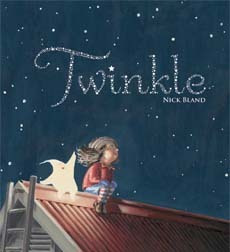 Then I read Twinkle (2010), which could possibly be my very favourite picture book. It made me cry, happily. I’ve actually written an official review of this book so you can read about it here. 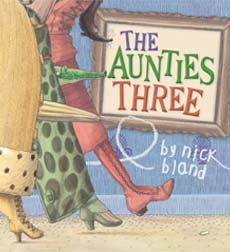 The Aunties Three (2011) is a rambunctious hoot which has my daughter and I roaring with laughter at every reading. Grug and The Gruffalo are making it big on the screens and stage, but The Aunties Three is one picture book I’d love to see adapted as a play script. Three high-spirited toddlers are trying to reclaim order in their house as they host a visit by their three aunties who are stern and demanding. It’s a recipe for success isn’t it? 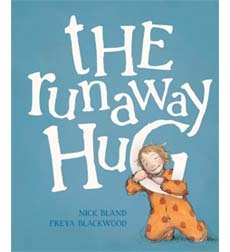 The Runaway Hug (2011) is his latest book, illustrated by Freya Blackwood. I instantly thought this book was clever and warm. A young girl asks her mother for a hug. Before giving her daughter a hug, the mother announces that it’s her last hug. Lucy protects this hug fiercely and passes it around to each family member before giving it back to Mum. It simply captures the warmth of family life. You will also have to look out for Some Dads (2011) which has only just been released this month in time for Fathers’ Day. It’s bright and colourful. Poking a little fun at dads, the book is humorous and comforting at the same time. The rhyming text is short and simple but the full-page illustrations will make you laugh out loud. That leaves the following books for me to track down, and I will track them down: A Monster Wrote Me a Letter (2005), Aussie Jingle Bells (2006), I’ve Lost My Kisses (2007), Donald Loves Drumming (2008) and When Henry Caught Imaginitis (2008). One thing is for sure, he’s got a fan in me and I’ll be keeping a close eye on him. What is it about his work that I love? His illustrations are rich and complex (Most of his illustrations are oil paintings). There is so much going on in the illustrations that you need to spend time pouring over the pages even after the kids have gone to bed. His stories are written to entertain children and he knows what makes them laugh, but there’s another layer to his stories that entertain the adult reader also. His rhyme is not forced. It’s so natural that you hardly know you’re reading rhyme. This makes reading them aloud so enjoyable. I doubt that they were as easy to write as they are to read. I think he understands children so well. He captures them so accurately (physically and behaviourally) in his illustrations and parents relate to that. The concepts of his storylines are so clever and unique, but at the same time they resonate with families. There is so much depth in his stories. Have you read a Nick Bland book yet? Any favourites in your home? 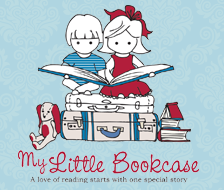 Jackie’s website My Little Bookcase celebrates the value of a traditional book, the joys of reading and quality time shared between parent and child. It is one of my personal favourites, and I’d encourage you to pop over for some great reading ideas. Thanks Jackie! P.S. 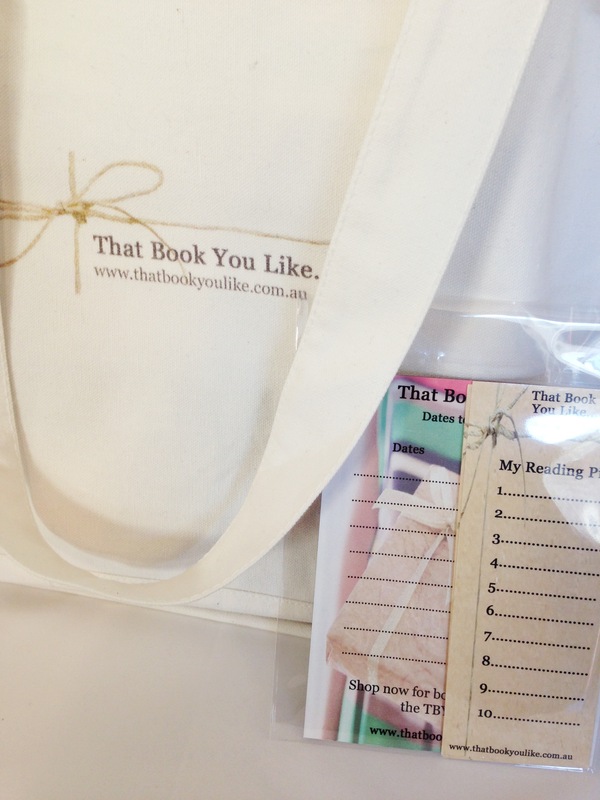 Don’t forget, this month’s give-away is a short one! To go into the running to win a double pass to MWF’s Shaun Tan’s The Arrival, see details here. Thanks for inviting me to be a prat of Be My Guest Month. It was fun. No worries all Jackie, thank-you!! I’m really looking forward to getting a hold of some of Nick’s books now. Off to purchase Twinkle tomorrow. Thanks for the review. I’d love to get hold of a book list/reviews for little ones who are afraid of the dark/won’t sleep and clearly think bedtime is overrated!